Our Fabulous Franny Wrap in a cropped length with a Short Sleeve. 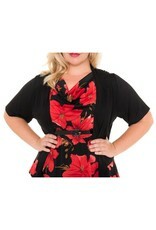 Perfect over our Carolyn Cowl Top in Redlily or any sleeveless top or dress! Don't forget to "Drizzle Your Franny" as seen on TLC's Big Brooklyn Style! Wear it over a sleeveless dress or just about anything. 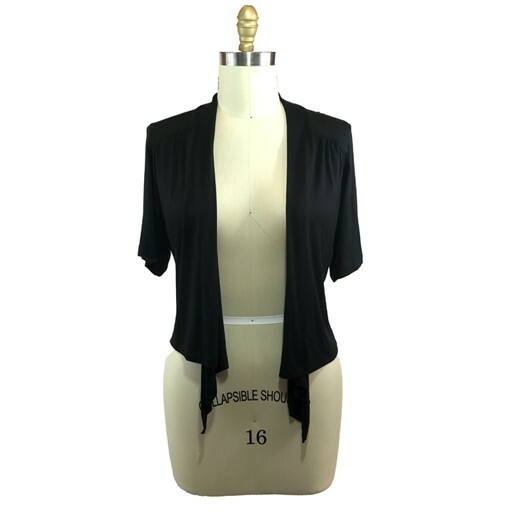 It doesn’t do any tricks, you can’t wrap around your head, and it’s just a well-made open cardigan that will flatter your body. Our Franny has the softest fabric integrity that will be your best friend any Season. 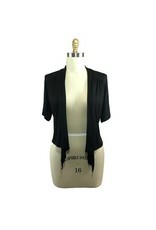 Approx Length: 18” from highest point to hem.